It’s been a very busy week of shooting and post-production editing for me this week and I’ve been trying to get back to the blog following the Memorial Day post to get something new posted. Here it is Friday and I am finally finding some time! This first photo was taken last Sunday evening in Chagrin Falls, OH. The hot air balloons were supposed to fly that evening but an impending thunderstorm and winds out of the East which would have directed the balloons into Cleveland airspace caused them to cancel the launch. To satisfy the crowd, they did agree to inflate the balloons and invite the fans to get a closeup look, inviting them onto the field for about 30 minutes. I was intrigued with the beautiful colors and patterns and took many photos similar to this with overlapping balloon patterns. I included people in many of the shots merely to emphasize the the relative size of the balloons. I have seen them in the sky on a number of occasions, but had never realized how large they really are! The second photo is one that I photographed last year around the Port of Cleveland. 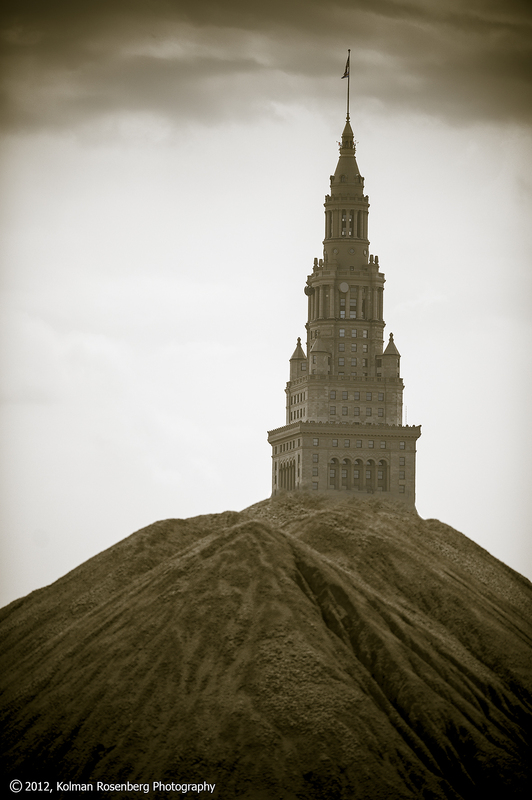 Cleveland’s famous Terminal Tower was shot rising above a gravel pile sitting at the port. As I looked at this photo recently, I was reminded of a sandcastle at the beach. With some post-production editing, my intent was to complete that look. How did I do? 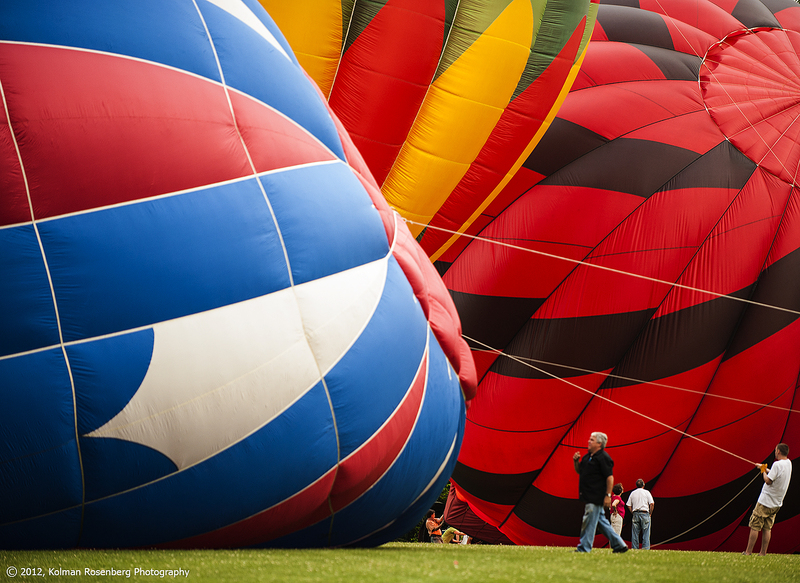 This entry was posted in Uncategorized and tagged aviation, balloon festival, blossom time, castle, Chagrin Falls, Cleveland, color, gravel, hot air balloon, inflate, OH, ohio, patterns, port of cleveland, propane, sand, sandcastle, size, Terminal Tower, Transportation. Bookmark the permalink. Thanks Jerie! I appreciate that! I love both of these photos!